Our parrots LOVE the Planet Pleasures Pinatas, these colorful ones adorn most of our cages. 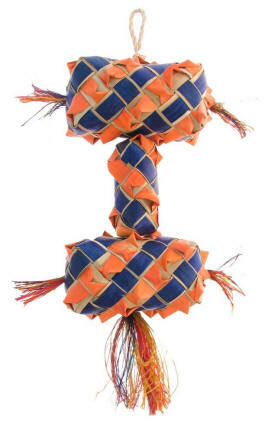 The Stacked Pinata is a fun, new piñata to challenge your Busy Beaks! Please remember that all Planet Pleasures toys are handmade, so it's normal for the sizes vary a bit.